Last night we went to see Rutherford and Son at The Crucible, which we enjoyed. It was Micks first time at the theatre and I haven’t been to see anything since I was little designer on the premiere production of Brassed Off in 1998. I was employed as Roger Glossop’s (the big designer) wife was expecting their second daughter. So it was quite apt that we bumped into her and her brother Sam before the show. 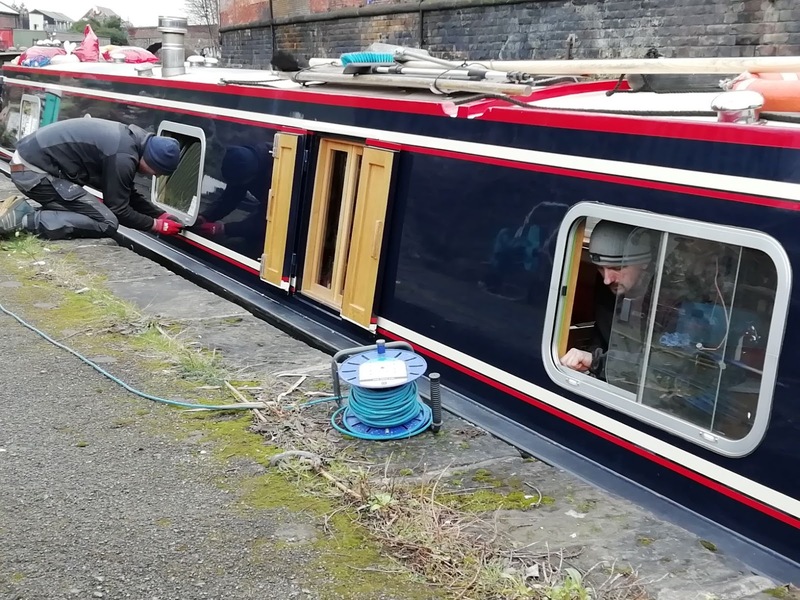 We helped Sam and Rebecca move their boat last October. After the show we met up with two Stage Manager friends I know from my Scarborough and Hull Truck days. It was good to see Andy and Neil and catch up on their news. We maybe had a little bit too much to drink in a short space of time as in the morning my head and body weren’t too keen to get the swing bridge moving to head to Finesse. A space had been made for us bank side, which we just fitted into, good job they knew how long we were! We’d arrived bang on time, Kris finished off what he was doing before ferrying his tools to the boat. First things first, take out both windows. The galley window we were having replaced with a sliding window and the window above our TV had a leak. 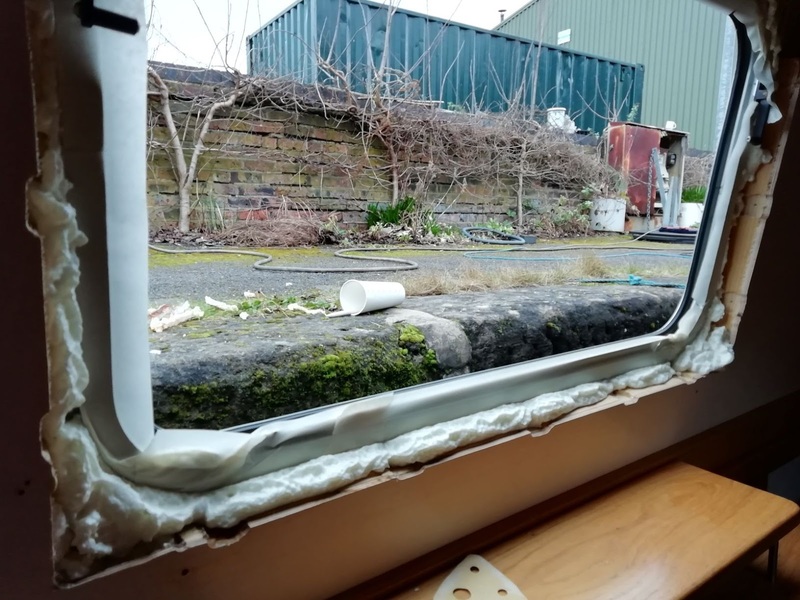 The extractor fan had to be removed first to get to the galley window, then the wooden surrounds were removed, exposing insulation foam and fixings. Then the external frames could be removed with quite a bit of a tug. 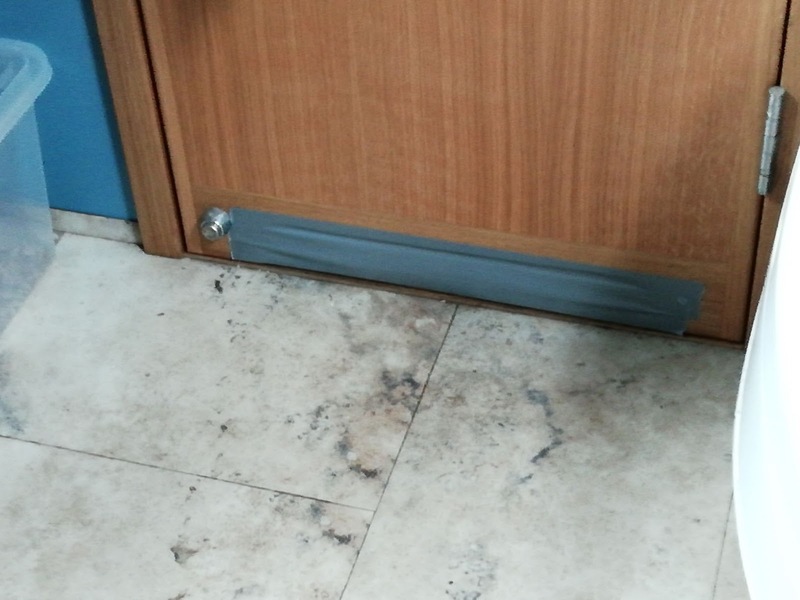 Gaffa Tape to stop escapes, hopefully! With two chaps inside, and Tilly confined to quarters in the bathroom and bedroom there wasn’t much space for us. So after checking that Tilly was okay and that the double layer of gaffa tape at the bottom of the bathroom door was holding up we headed back to Victoria Quays for some breakfast. A mediocre cooked breakfast, at least they had gluten free bread, but not sausages. Mick wasn’t that impressed with the sausages anyway so I didn’t feel I’d missed out. When we got back, holes had been drilled in the front of the well deck, this was for our anchor support. 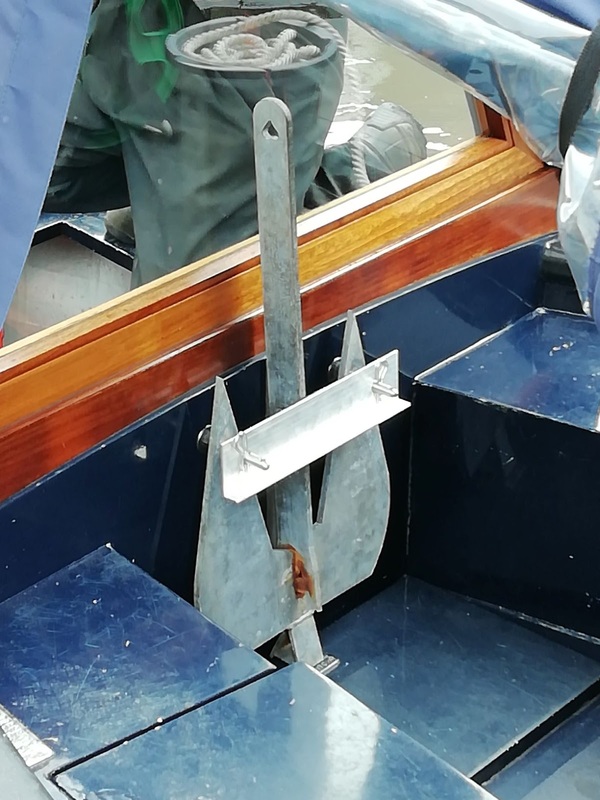 Two stainless steel rods were bolted in, some sticky backed foam added where the anchor would touch the paintwork, then a bar across the front to hold everything in place. The anchor now has a home. When on a river we can remove the bar to make it easier should we need to use the anchor. Meanwhile the windows were both out, rust evident on the frame that had been leaking. The new galley window came with it’s own frame so the old one could be used to replace the leaking one. 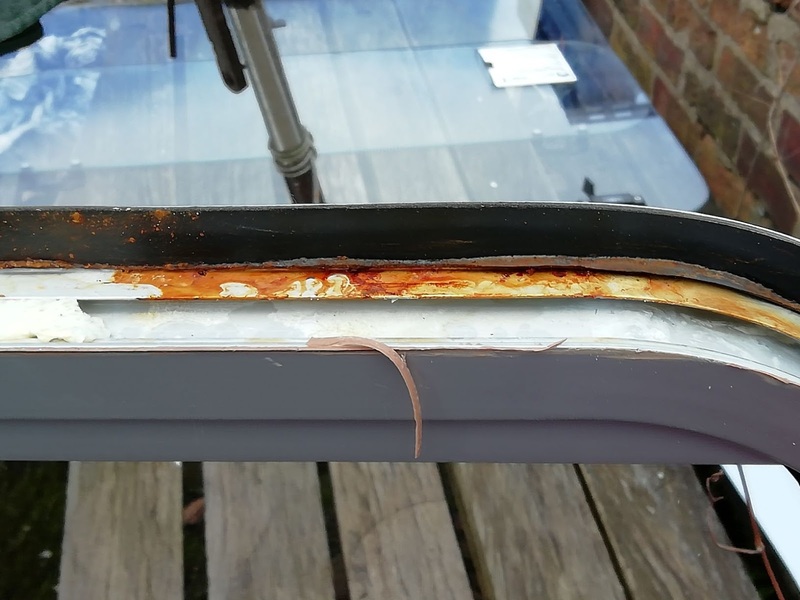 The rust was treated and once they were back in position they were sealed in with super dooper black sticky stuff, expanding foam was added around the inside of the frame. Whilst this was allowed to go off the wooden internal frames were taken away to be cleaned up. She came in to check on me. I’d found a nice cosy spot behind Tom’s coat on the bed where I tried to hide from all the noises going on. One of the men called me a Tiger! 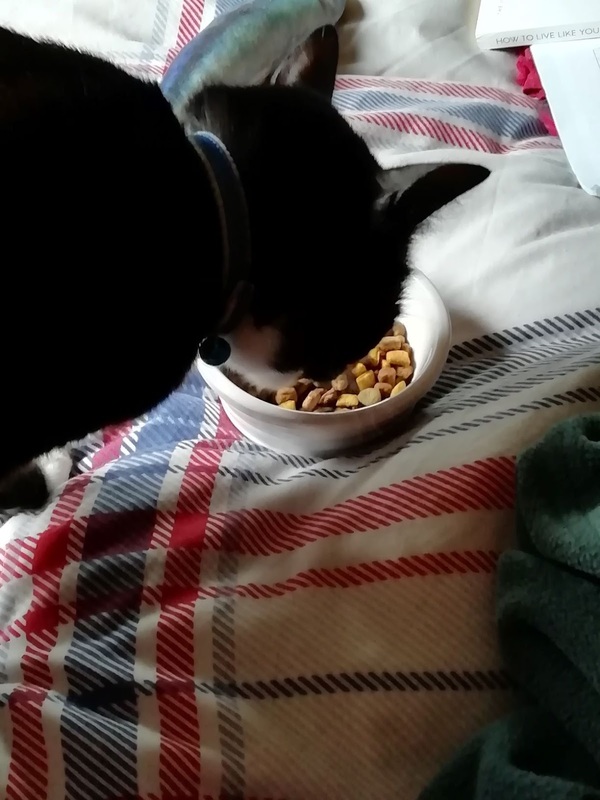 Breakfast on bed was supplied and I settled back down behind Tom’s coat for a few more hours whilst all the men were being noisy. 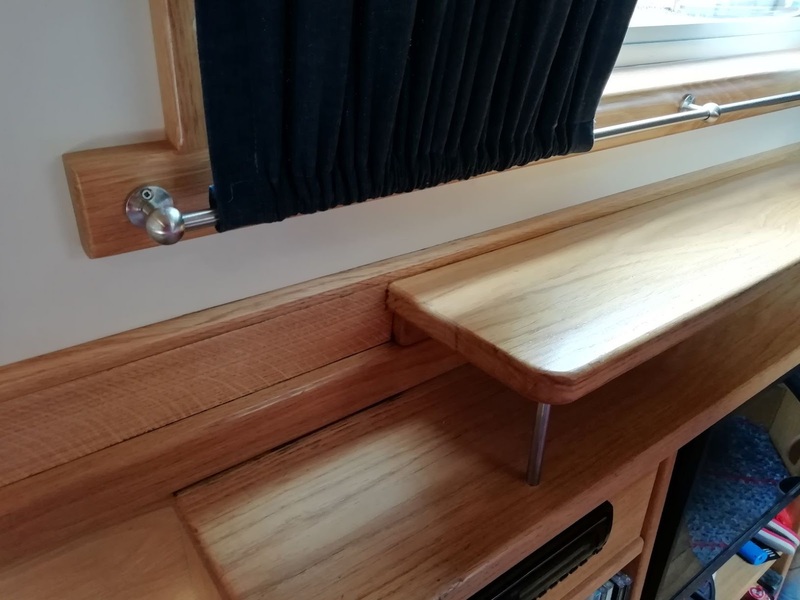 An extra support was added in under the dinette seating where it had started to give. 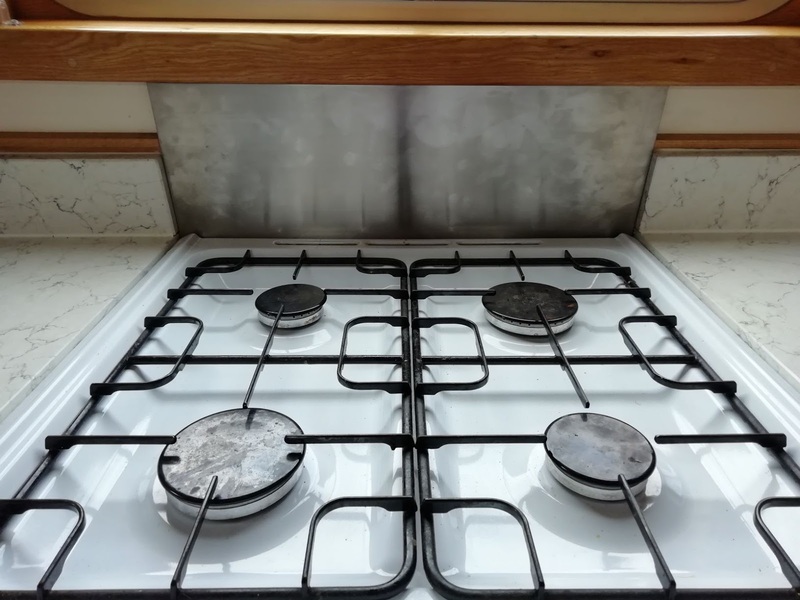 Once the wooden frames were put back around the windows Kris started to fit a sheet of Stainless Steel to protect behind the cooker, this extends further than the old one did. The cooker was also given a little nudge outwards. Hopefully this will be easier to keep clean than the white metal that had been there before. 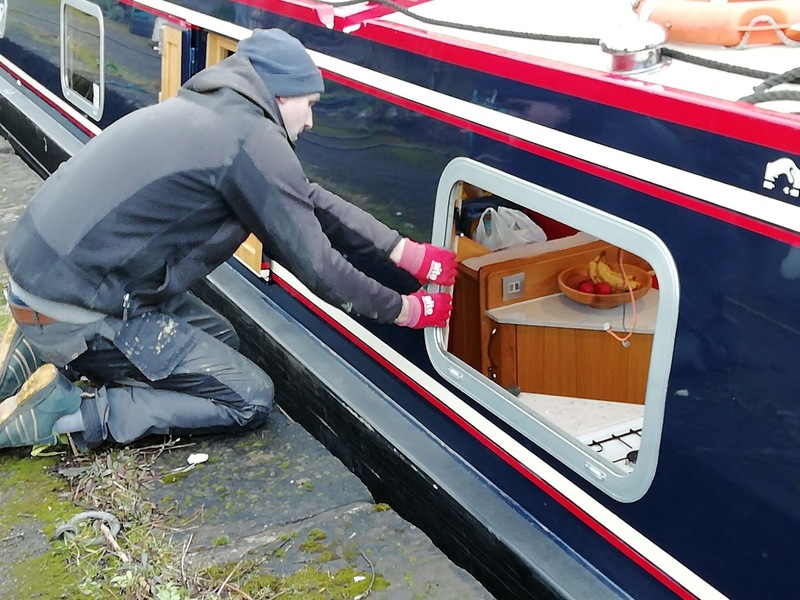 Kris then reattached a fairlead that had come off a few months ago, I’d already touched up the paintwork. 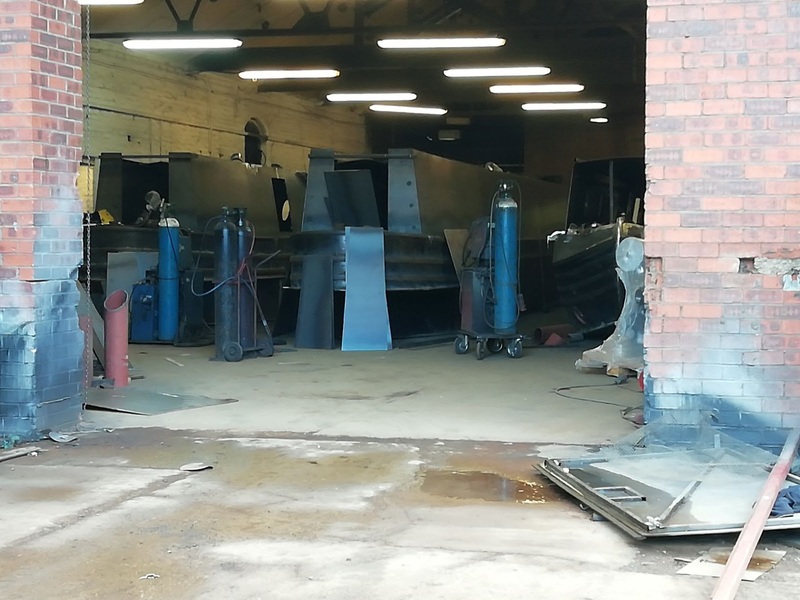 The split charge relay to the bow thruster is being looked into. Mick found some bits of kit that might work and Ricky is going to do a bit more investigation. 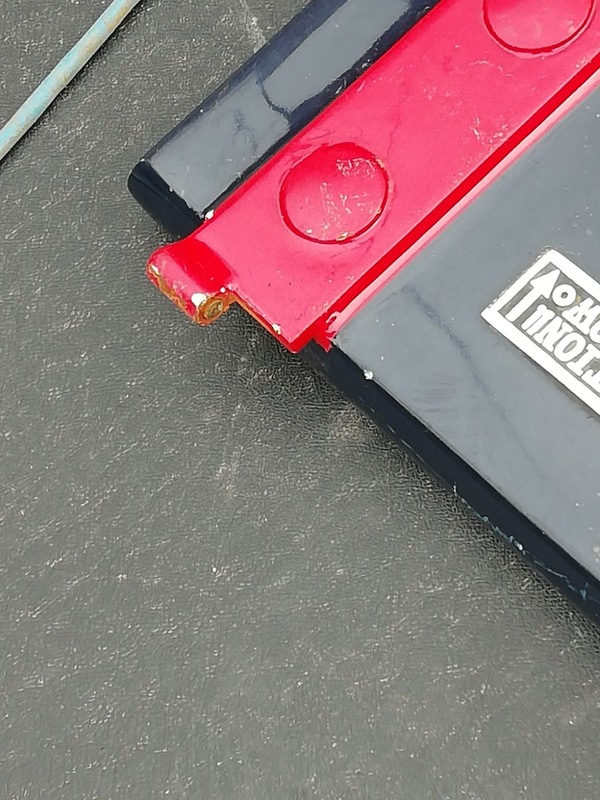 Jonathan came to look at the gas locker lid and asked one of the lads to drill out the old pin that had snapped. This would be replaced with a brass pin. A few years ago he’d come up with a different design of hinge for the shells that he builds. These were made by someone else and somewhere along the line there was a design fault in them, which means that several boats this last hot summer had the same thing happen, the pin sheering in two. He was very apologetic about it. After some drilling was done he’s now decided to replace the hinge. This will be done on Monday and the lid may get a repaint too with an anti slip patch added to it. 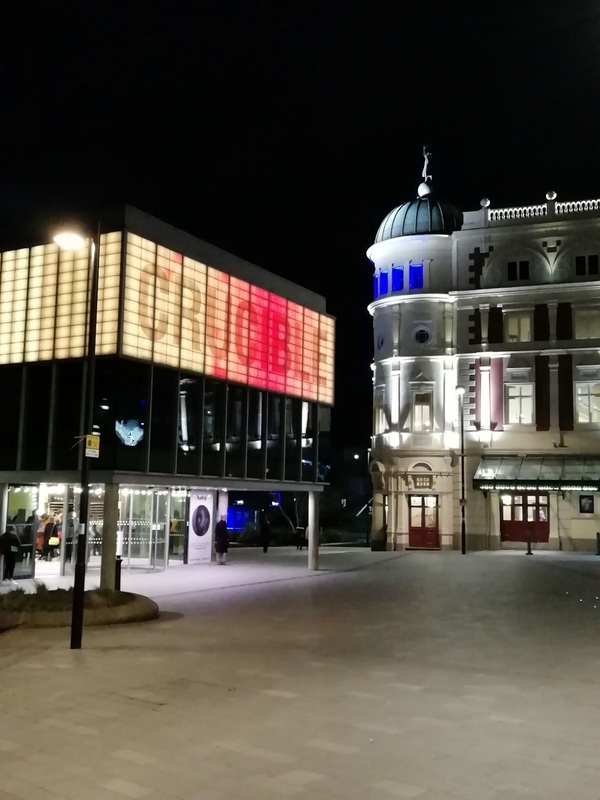 So we’ll be in Sheffield a bit longer than originally planned. All the internal work, other than the split charge relay is done. As ever we were impressed, Kris got on with the job and both windows were fitted, sealed, and trimmed in six hours. We pootled up to try the nearer winding hole and successfully turned without having to go an extra mile up the cut. A very good day, our galley blind now hangs better, we can open and close the window easier and the other window should now be leak proof. 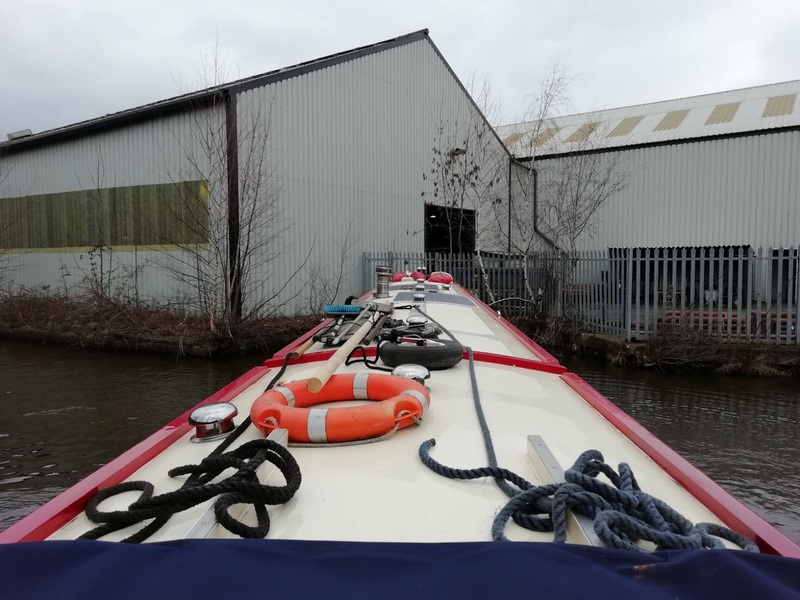 0 locks, 1.3 miles, 2 winds, 2 windows, 1 anchor, 1 fair lead, 1 dinette, 1 length of black tack, 1 length of stickybacked foam, 2 breakfasts, 6 hours confined to quarters, 4 strips gaffa, 2 happy boaters, 1 passage booked to York. 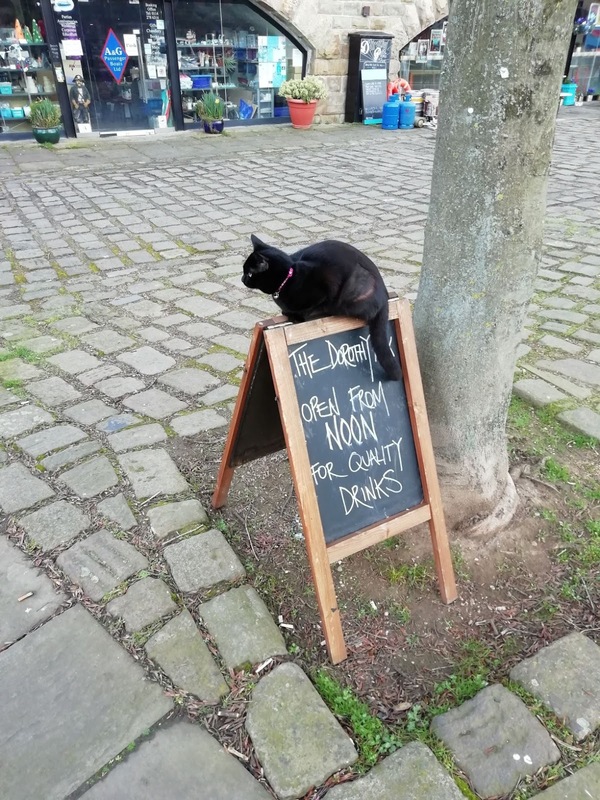 This entry was posted in Uncategorized on 22nd Feb 2019 by pipandmick. Hi FrankWe've got Look North recorded, not watched it yet. But we were certainly about.